Over the decades, successive civilian leaderships here in Pakistan have demonstrated sheer indifference when it comes to reforming the country’s draconian blasphemy laws. Thus these, over time, have gone from being a source of despair for a majority of the citizenry to representing deadly legislation. This makes all the more welcome the recent ruling by the Islamabad High Court (IHC) that saw the five bloggers, who mysteriously disappeared at the beginning of the year, cleared of all trumped up charges of blasphemy. Yet it also serves as a poignant reminder of how these laws continue to be misused. Enough is surely enough. Given that the Federal Investigation Agency (FIA) had found no evidence of blasphemy, Justice Shaukat Aziz Siddiqui – who was presiding over the aforementioned case – directed that no action be taken against the ‘defendants’ in the absence of incriminating evidence. This must come as an enormous relief to the bloggers, who were known for being critical of authority, extremism and intolerance. But, to be blunt, their lives will likely never be the same again. Not only in terms of the torture they may or may not have received – but charges of blasphemy, however false these may be, are not forgotten in Pakistan. Equally worrying is that no agency has admitted to picking them up. Many politicians and religious scholars have, over the years, conceded that the country’s blasphemy laws are being misused. Indeed, the Supreme Court, in its 2015 verdict in Malik Muhammad Mumtaz Qadri v the State, reiterated concerns that the majority of blasphemy cases are based on false accusations. Thus in the absence of adequate safeguards, once someone is accused of this crime – their very life becomes forever under threat. And it matters not if one is a public figure, as the case of Junaid Jamshed only serves to underscore. Ever since their inception, these laws and their dastardly implementation have provoked consternation among national and international human rights organisations. Indeed, the world community regularly calls for the repeal of this legislation, or at the very least, for appropriate changes to its application. Yet our civilian leadership has turned both deaf ear and blind eye to all of this. 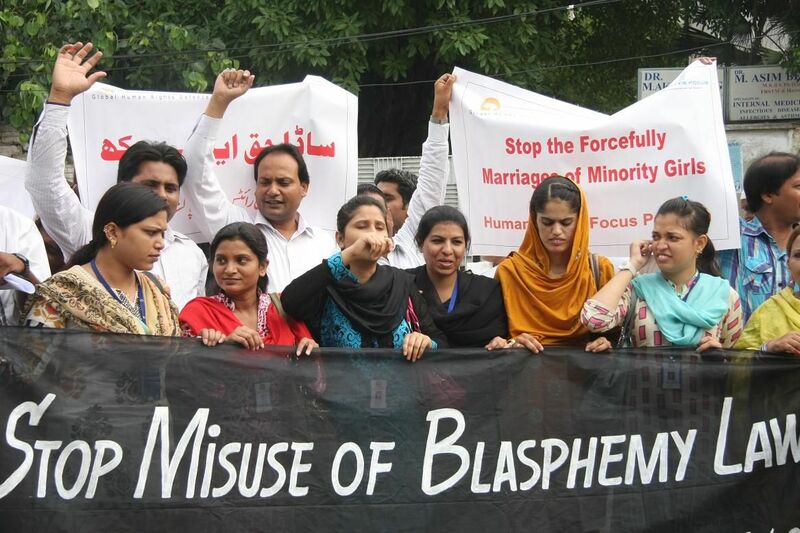 In their written form, the blasphemy laws violate Pakistan’s international human rights obligations, particularly those falling under the International Convention on Civil and Political Rights (ICCPR). The latter include freedom of thought, conscience, and religion or belief; and freedom of opinion and expression. Thus is Pakistan under obligation to respect and bring its laws in line with such commitments as per all international conventions ratified by the state. One of the main reasons that has prevented successive regimes from doing just that is the threat posed by Islamist extremist groups. The latter all too often target both churches as well Christian settlements; which our security agencies seem at a loss to prevent. This is to say nothing of the targeted assassination of those who have been (wrongly) accused of blasphemy. In addition, the usually vague wording of charges also leads to a violation of the principles enshrined in the Universal Declaration of Human Right (UNDHR). Principally, “the right to be presumed innocent until proved guilty according to law” as well as the right to equal protection of the law “without any discrimination”. Everyone has the right to be tried in a timely manner. Meaning that if the accused is held in pre-trial detention – the state is obliged to hear their case on a priority basis with a view to conducting proceedings with particular expedition. After all, the UN Special Rapporteur on Torture has termed solitary confinement not punishment but torture. Those who are routinely subjected to this are found to suffer serious health problems including irreversible psychological harm. And here in Pakistan, individuals charged with blasphemy are oftentimes kept in solitary confinement, ostensibly for their own good. Yet it doesn’t always work out that way. 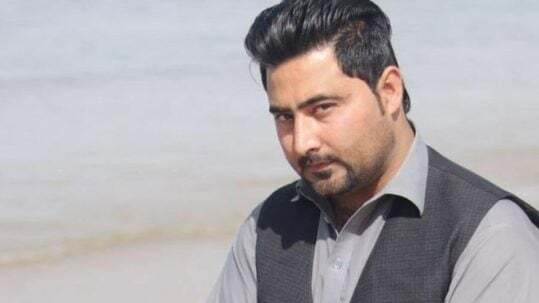 A Christian prisoner, Qamar David, who was serving a life sentence for blasphemy died a year after his custodial term began, despite being considered to be in good health. Though, in this case, it must be noted that he had spent some four years in pre-trial detention; in a ‘Christian only’ block. Sadly, his is not a lone case. Many variations exist. There was Ranjha Masih, another Christian man charged with blasphemy back in 2003. Though he was acquitted after eight years – here, again, it is pertinent to note he had spent five additional years in pre-trial detention, bringing the total number of years spent in prison to 14. Yet only his physical being gained freedom; his mind remained mentally unstable before he died a few years later. 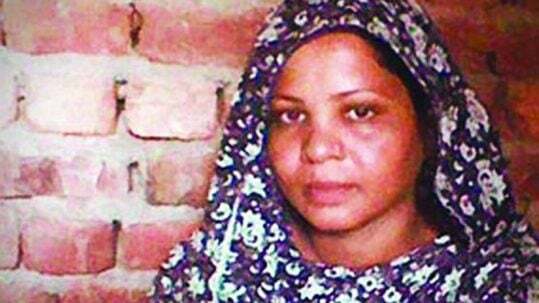 Then there is Asia Bibi, yet another Christian inmate. She was arrested back in 2009 and sentenced to life imprisonment a year later. It has been reported that she has spent the last three years in solitary confinement where no one – neither her husband nor her five children – has been allowed to meet her during this time. The bitterest irony is that while almost the whole world knows her name she is not permitted to speak to anyone. And no one knows if she will ever get life back. Pakistan’s blasphemy laws have even been deliberately misused to target the vulnerable, such as Rimsha Masih who was said to have suffered mental health issues that effectively placed her at an even younger age than her estimated 14 years at the time of her arrest. There is also Asif Masih. And so the list goes on. There remains a small sliver of hope, however. Meaning that many religious scholars have joined hands with the legal fraternity, as it were, to argue that intent is critical when determining whether or not blasphemy has been committed. This is a view supported by Tahir Ashrafi, a religious scholar and former member of the Council of Islamic Ideology. Thus we here in Pakistan have time and again borne unwelcome witness to how the country’s blasphemy laws and their practical implementation have routinely violated its international human rights obligations. Yet if our political leadership fails to put this right – then the responsibility must necessarily fall to the apex court; in terms of directing the Centre to do the needful. For it is no longer sufficient for scholars to take to our television screens to press home the point of how the burden of proof rests on the accuser. This is because as far as I, or many others can tell, this very rarely happens. Meaning that those who level such detrimental allegations usually don’t make it before the courts as these types of cases are all too often hijacked by the extremist agenda. The 21st century is said to be one of changes and many countries, including Saudi Arabia, have found themselves with little choice other than to adopt new laws and values for the progression and welfare of their people. This should give courage to Pakistan; inspiring us to do our utmost to resort to national and international legal norms as well as the work of religious scholars to reform these anachronistic laws. Or at the very least, prevent their utter misuse. For in this way, would our political leadership demonstrate its commitment to putting the citizenry before religious extremists.